SpaceX’s launch team ran through a traditional preflight test Monday, putting a Falcon 9 rocket through a mock countdown, loading it with a supply of liquid propellant and briefly firing its engines on a launch pad in California ahead of this weekend’s liftoff with a U.S.-European oceanography satellite. 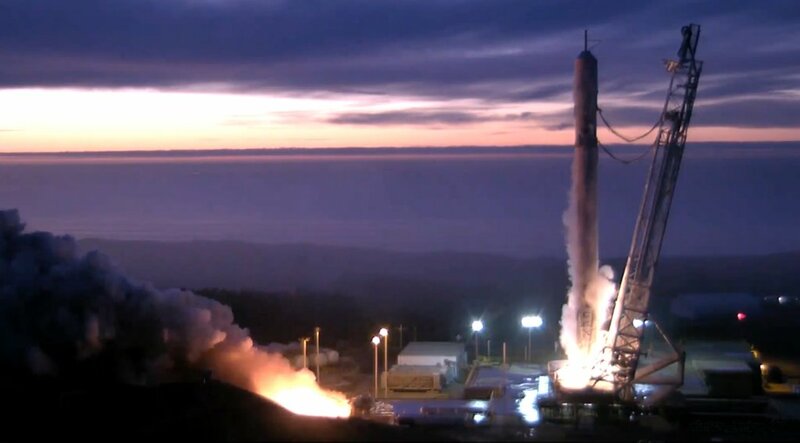 The first stage booster’s nine Merlin 1D engines ignited at 8:35 p.m. EST Monday (0135 GMT Tuesday) while hold-down devices kept the rocket firmly on the ground at Vandenberg Air Force Base on California’s Central Coast. The engines fired for approximately seven seconds, according to NASA, which is managing the launch of the Jason 3 ocean research satellite. “The initial review of the data appears to show a satisfactory test, but will be followed by a more thorough data review on Tuesday,” NASA said in a statement. 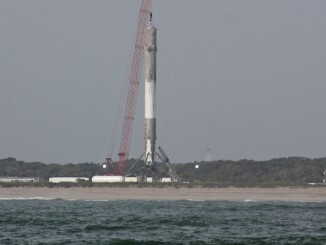 SpaceX ground crews planned to return the Falcon 9 rocket to its hangar near the launch pad for final flight preparations. The Jason 3 spacecraft is already enclosed inside the Falcon 9 rocket’s payload fairing and will be attached to the launcher’s second stage as soon as Tuesday, according to NASA. A launch readiness review is scheduled for Friday to give the final formal go-ahead to start the Falcon 9 countdown leading toward liftoff at 1:42:18 p.m. EST Sunday (10:42:18 a.m. PST; 1842:18 GMT). 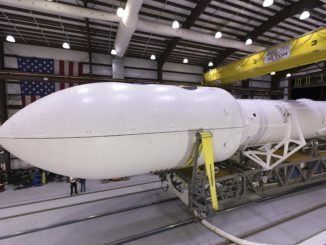 The Falcon 9’s second stage will deliver the 1,124-pound (510-kilogram) Jason 3 satellite into an orbit about 840 miles (1,354 kilometers) above Earth, and the rocket’s first stage will aim for a vertical rocket-assisted touchdown on a landing barge positioned in the Pacific Ocean south of Vandenberg. Jason 3’s launch was scheduled for August, but the failure of a Falcon 9 rocket in June 2015 grounded the mission until January. The flight will be the final launch of the Falcon 9 v1.1 rocket configuration, which SpaceX is replacing with an upgraded model capable of hauling 30 percent more mass into orbit. The first launch of the new version of the Falcon 9, which features chilled, densified propellants, higher-thrust engines and larger fuel tanks, successfully put 11 small satellites into low Earth orbit after a launch from Cape Canaveral on Dec. 21. The Jason 3 mission is a joint project between NOAA, the European weather satellite agency Eumetsat, and the French space agency CNES. 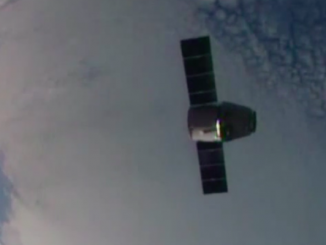 It replaces the Jason 2 satellite launched in June 2008. Jason 3 carries a radar altimeter to measure the height of ocean waves and global sea level changes, supplying data to aid forecasters predicting the development of tropical cyclones and research scientists studying climate change. The mission costs about $365 million at current economic conditions, divided between NOAA, Eumetsat, the European Commission and CNES.